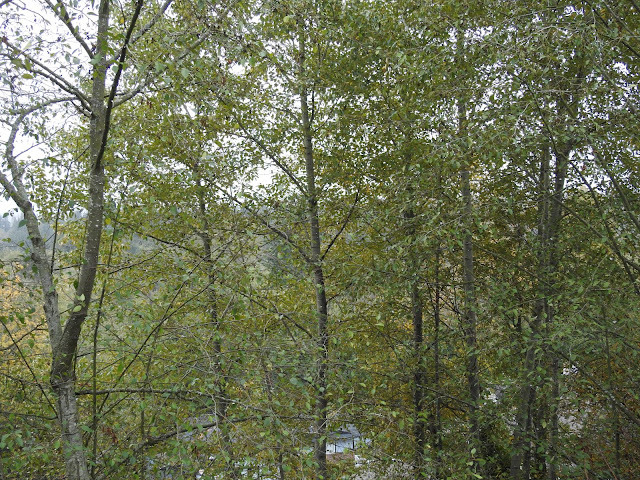 Our house is perched on a hillside overlooking Burns Bog. There is one more street below us and then a drop off into the bog. 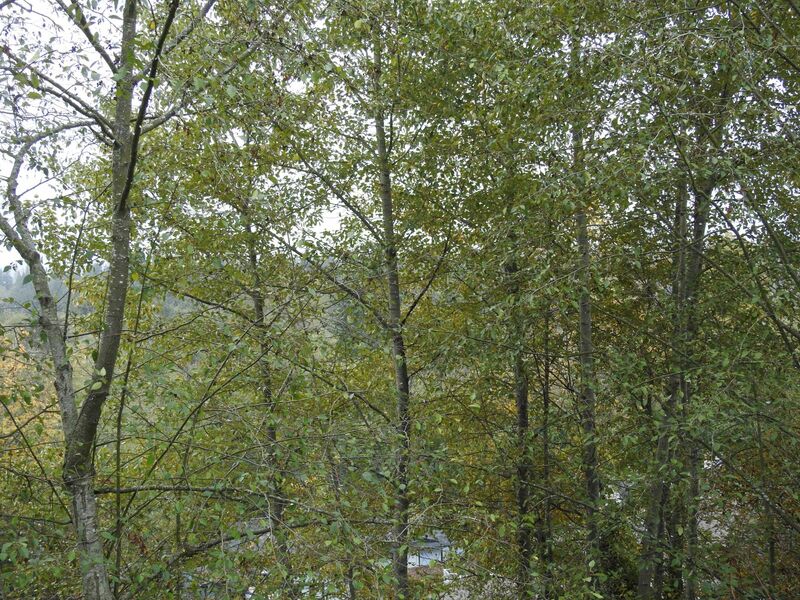 We've always kept the backyard natural (or we've been too lazy to do anything with it (:-). Here's a sample of what it looks like. 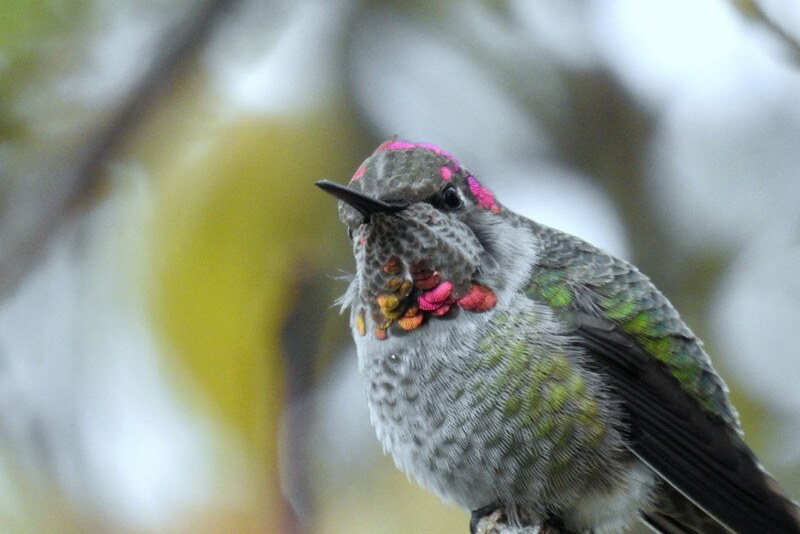 We've been feeding birds since the early 80's and have quite a few that are year round residents. 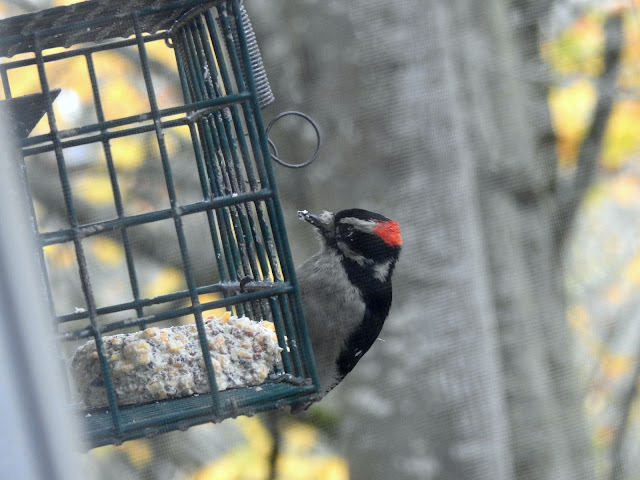 An example of that is this Downy Woodpecker. 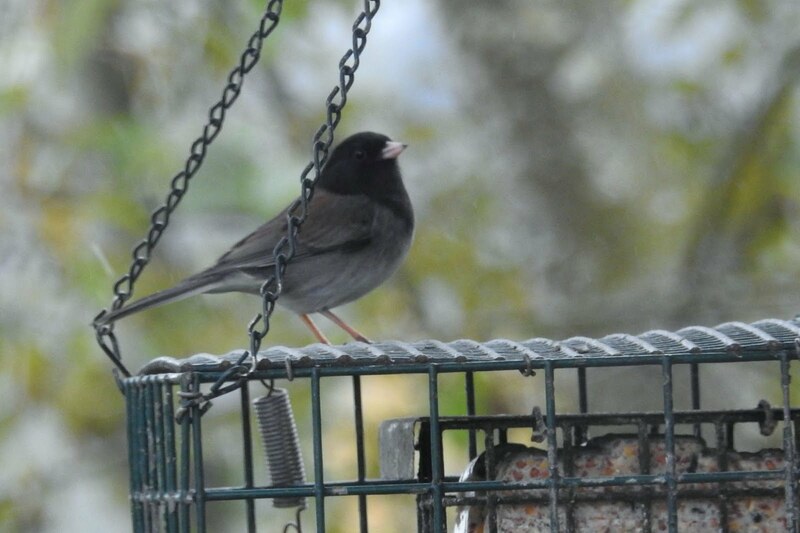 Dark-eyed Juncos are here all winter. They depart in mid-spring to go to higher altitudes to breed. We have been putting up a Hummingbird feeder for quite a few years. 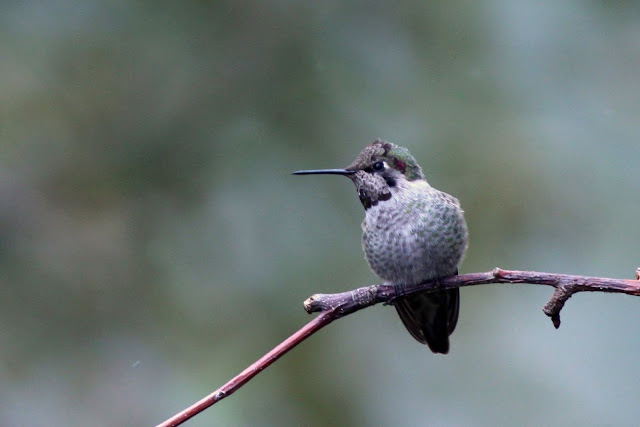 Early on, we only had Rufous Hummingbirds use it in Spring into Summer. Now, we have at least one Anna's Hummingbird that frequents it through the fall and winter. It seems to disappear when the more aggressive Rufous species show up. The light was perfect on this day to capture a male Anna's in the apple tree near our feeder. After visiting the feeder it would return to the same perch on the tree. This is where the Nikon Super zoom excels. With a bird at a 30 ft distance, I can zoom and get sharp focus. 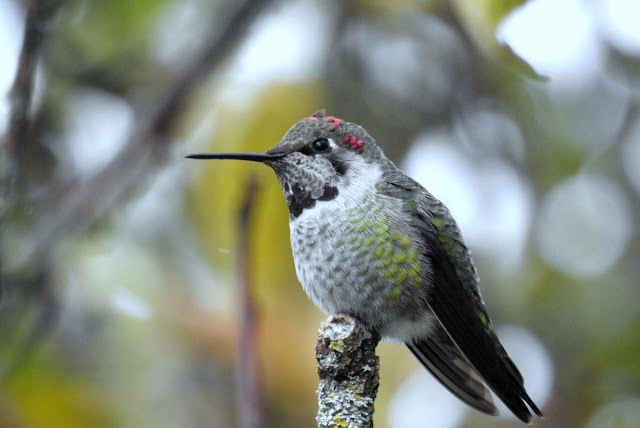 Here's a movie of the Hummingbird also taken with the Nikon. This last shot was the best I got with the Canon SLR and 400 mm lens, not as vibrant as the other two.